The last couple of days were some of the most difficult and amazing days because we knew just how very close we were to Santiago, we had finally crossed the 100 km mark! On the 13th day, which was supposed to be about 27 kilometers from Portomarin to Palas de Rei, I started off on a great note when I realized I had forgotten my walking stick in the albergue and had to run back up the hill to get it. I then started walking pretty quickly alone to catch up with the rest of the group for second breakfast. As the day continued, I started walking. With Rachel and Anna, and we came across this amazing circular design of crushed flower petals and salt. We had no clue what it meant, but to me it seemed like a sort of doorway into the rest of the Camino, and it also smelled great. We were expecting it to be a super long day, but ended up arriving in Palas de Rei pretty early, as it was only 24 kilometers. The next day, however, was a completely different story. And this one: only 50 kilometers left! So before we left on this day, Annie had told us that it was going to be about 25 kilometers walking, but that it would be flatter than the day before. This would mean that we would be arriving in Arzúa at the 40 km marker. We reached the marker, passed it, and still there was no sign of our town. We soon reached a town, but it wasn’t Arzúa! We all got really confused, but continued onward. After hiking another 2.5 kilometers up an extremely steep hill, we finally saw the sign for Arzúa. At this point, it was starting to drizzle, and we were all so ready to be done for the day. Little did we know, our albergue, la Vía Láctica (or Milky Way), was on the complete opposite side of town. Our journey ended up being a little over 28 kilometers, the longest day of our trip, and about an hour longer than we were expecting. This was definitely the most mentally challenging day, as we continually were expecting the town to be right around the corner, when we really had a much longer way to go. After this, we only had about 37 kilometers to divide between the two remaining days. 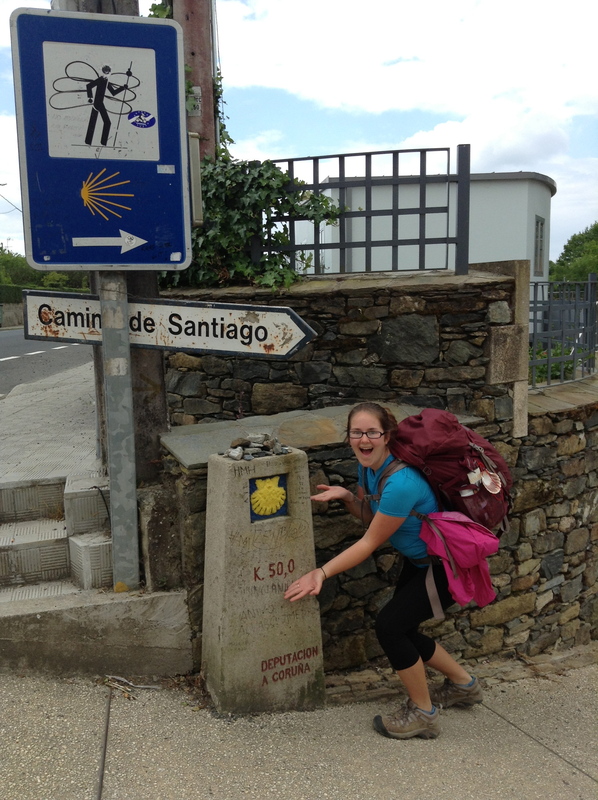 They were pretty easy because it was the final stretch, and we were so ready to finally make it to Santiago de Compostela, our ultimate destination.